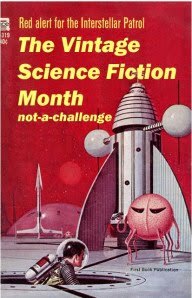 As a result of my participation in The 2013 Science Fiction Experience and The Vintage Science Fiction Month, I've again gone into a science fiction reading frenzy this past week. The difference is that I've picked up some old publications never before read by me -- books or authors I either overlooked or missed reading. I began my personal foray into the world of science fiction by reading Dune by Frank Herbert when I was in my teens. I remember what a big impact that novel had on me. As a result, I never read lighter young adult science fiction novels that came before or after the all encompassing and then addictive (to me) Dune. I missed out reading works by many great writers, including the ever popular Andre Norton. Alice Mary Norton, better known to the science fiction world as Andre Norton, was born on February 17, 1912. Ms. Norton also used pseudonyms Andrew Norton and Allen Weston to publish her works during a time when female writers changed their names to reach the male-centric and male-dominated science fiction market, and in 1934 she officially changed her name to Andre Alice Norton. Known as the Grand Dame of Science Fiction and Fantasy, Ms. Norton wrote novels for over 70 years and before passing away in 2005 had over 300 published titles to her name, beginning with her first novel which was published in 1934. She was twice nominated for the Hugo Award (Witch World in 1964 and Wizard's World in 1967). Norton was also the first woman to receive the Gandalf Grand Master Award from the World of Science Fiction Society in 1977, and in 1998 won the World Fantasy Award for lifetime achievement after having been nominated three times. In 2005 the Science Fiction and Fantasy Writers of America created the Andre Norton Award to be given each year, beginning in 2006, for an outstanding work of young adult fantasy or science fiction. She has influenced at least four generations of science fiction and fantasy readers and writers, including quite a few well known authors, among them: Lois McMaster Bujold, Cecilia Dart-Thornton, Tanya Huff, Mercedes Lackey, Joan D. Vinge, David Weber, and Catherine Asaro. Visit Andre Norton's official website here. First published in 1955, Sargasso of Space is the first book of the Solar Queen series. It introduces Dane Thorson as a young man just graduated and chosen by a Psycho computer machine as apprentice-Cargo-Master to join the 12 crew members of the slightly battered Solar Queen, a Free Trader ship. Their space adventure begins when the crew pool all their money together to enter a blind auction and win the ten year trading rights to D-rated planet Limbo. After opening the sealed information packet and finding out that their investment might be a losing venture, they begin to feel lucky again when archaeologist Salzar Rich hires the Solar Queen to explore the planet for Forerunner archaeological sites and all begin to hope there are other riches for trade. Once at Limbo, there's the planet to explore, mysteries to be solved, and a quick paced action adventure full of danger for young Dane and the crew. Sargasso of Space is a fun space adventure that may have originally been written as a 'boys' space adventure.' Regardless, I really enjoyed it. There's no question that to a certain degree the story is dated, (i.e: packets of information are in microfiche or microfilm) but because Norton focuses on the mystery, adventure, and the human aspects of the story instead of spectacular science fiction details, it holds up pretty well. There are no over-the-top hidden messages, instead basis for the plot is pretty obvious. 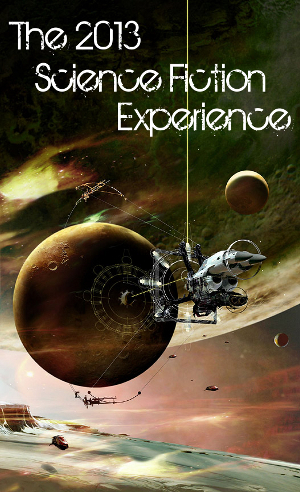 Norton focuses worldbuilding and conflicts for the space adventures on trade between the planets and pits the heroes in her adventures, a small crew of twelve Free Traders who in essence always begin from a disadvantaged position, against the big "Company" or all-powerful and wealthy trading moguls who seem to hold all the cards. Norton also uses a version of this device when creating her young character Dane Thorson who comes from a poor background, an orphanage, and through his own efforts receives an education, graduates, and is given the opportunity for a better future. The supposed impartial Psycho machine doesn't match him with one of the big companies, but he is given the opportunity to explore, gain experience, and to "make it" as a Free Trader. Both the crew and Dane are underdogs overcoming obstacles to succeed. I didn't find deep characterization in this story, however, the crew of the Solar Queen make a great team. It is also tough to measure true character growth when taking into consideration that Sargasso of Space is the first book of a long series. In this first book, Norton introduces Dane's young character as an apprentice mentored and accepted by the crew. He fits in even as his confidence fluctuates from highs to lows when making rookie mistakes and begins the process of learning the ropes. In Captain Jellico, the all knowing Cargo-Master Van Rycke, and the Cook-Steward Frank Mura, Norton introduces strong role models for Dane and the other young apprentices. Additionally, there is a mixture of cultures within the crew members, although not surprising for the time this novel was written, it is an all male crew. In this first book, I found Dane Thorson to be a bit of a "goody-two-shoes" compared to some of the other crew members, but I'm reading the second book of the series at the moment, Plague Ship (Solar Queen #2), and am hoping that he will break out of his little self-imposed box. The action, however, is quick paced and the adventure once begun, fun enough to keep me engrossed to the end. I've heard and read a bit about this young adult science fiction series throughout the years, and it seems to be beloved by old fans. As a new reader, I found the first book enjoyable enough to continue by reading the second book of the Solar Queen series. So, did I miss out during my teenage years by not reading Andre Norton's science fiction stories? I believe so! So far these are just fun! 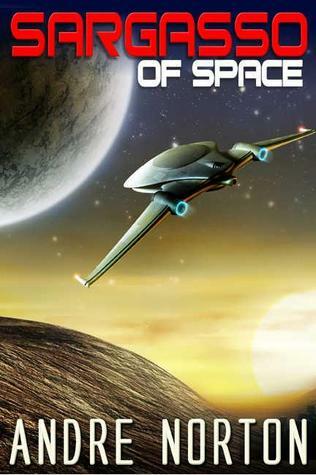 Recommended for young (and not so young) adults who love a good space adventure. Oh, I may have this in my eTBR, will check. You inspired me to pick up another Andre Norton last night, THE PRINCE COMMANDS, which I thought was a SF but turned out to be a Ruritanian kind of adventure - lots of fun! Hey, Li! I'm so glad you were inspired to read some Andre Norton! I'm reading The Plague Ship at the moment and have Voodoo Planet on the side to read as well. I'm concentrating on the Solar Queen and Forerunner series at the moment. I keep meaning to read more Norton...I've had mixed experiences with her books. Loved the Crystal Gryphon, but couldn't get into Witch World. This sounds like a good one to keep in mind! Hi there! This was my first foray into Norton's world and I enjoyed it. I read the first book in the Forerunner series also, and that one didn't work out as well for me, but I'm going to try the second one to see how that one goes. This series I think gets better with the second book, The Plague Ship, which I'm reading at the moment, but this one is key because it introduces all the characters and gives you a background. Marveloustales - I couldn't get into WitchWorld either, but Sargasso looks like a ton of fun, and Star Born and The Stars are Ours are both very satisfying reads and easier to get into that Witch World. Little Red Reviewer, I have both Star Born and The Stars are Ours and hope to read them at some point. Your recommendation is appreciated. I too wish I would have read Norton, and Heinlein, when I was a youth. I still am loving these novels now but they would have rocked my world as a pre-teen/teen. I picked up a copy of this at a used bookstore back in early December with several other Norton SF books. Too good to pass up. I'm happy to know that once I get to it I have another fun book to experience. I don't think I saw that one there. I snagged some random SF novels that looked good, this one included. Also snagged several in the Ensign Flandry series by Poul Anderson and another series by him that came before the Ensign Flandry books. Star Born was great. I read it a few months back, my first experience with Norton. I ordered a copy of The Star Are Ours right after I finished it. Carl it sounds as if you snagged some great novels. Well, read this book first and then you can decide if you want Plague Ship. You can always read it in digital format. :) Thanks for recommending Star Born too! Carl V. sent me here to see what you had to say about Andre Norton. Happy to read the reviews! I'm looking around to see what people think are her best books before I start reading; maybe this is one to start with. These sound great! Now I want to read them too. Damn that TBR stack.